Replacement: DEV-10570. 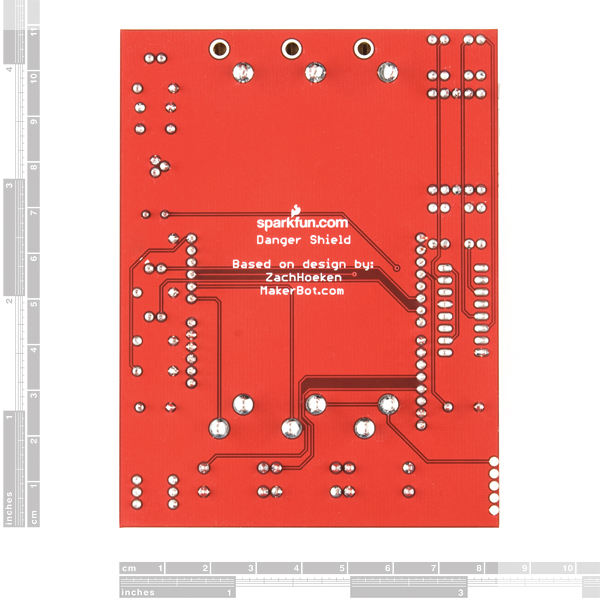 The new version of this board uses a different temperature sensor and also replaces the knock sensor with a capacitive touch pad. This page is for reference only. This new version uses a different temperature sensor. 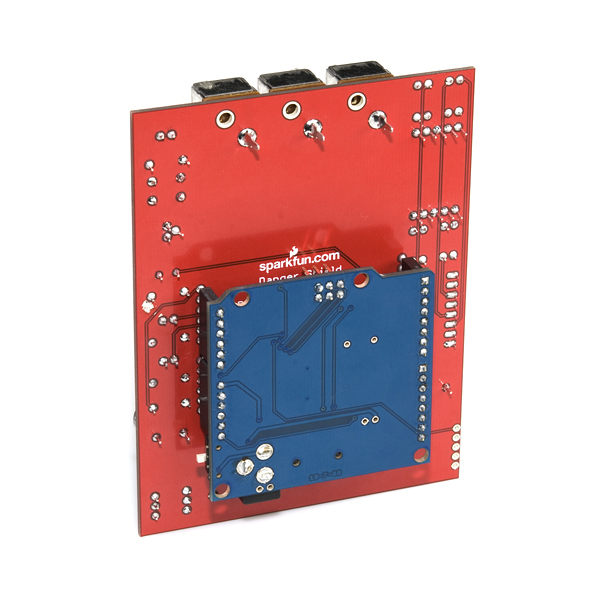 This product comes as a kit of parts, which you'll have to solder into the included PCB. All parts are through-hole so it should go together relatively easily; but always check your component orientation before soldering! Just finshed assmebling my board and the test code ran ok with one exception. The period was lighting up on the 7 segment led when the middle led should have been. I had to swap the left most two bits in each array element to get everything to work. Is there a problem with mine or did they use a different 7 seg led that is possible wired different? 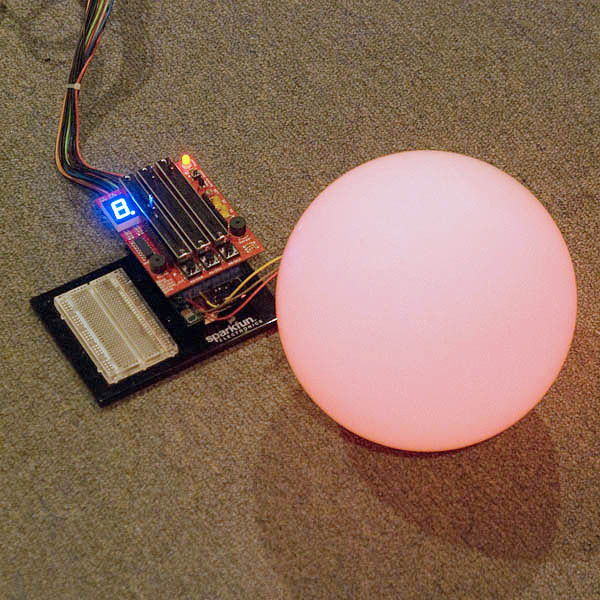 I should mention that my Danger shield came with a 7 segment BLUE led if that helps. 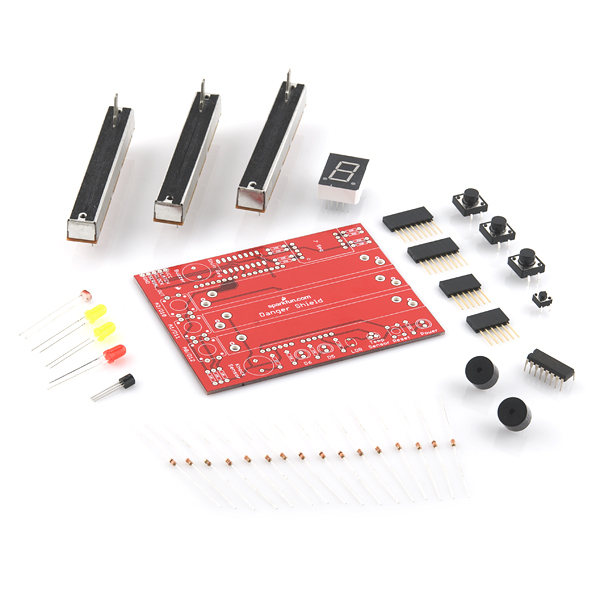 Just got the kit and I am not sure in which direction I have to solder the buzzer/knock sensor? They each have a + and - but I cannot find any hint how to put them on the board. This one caught me too. You'll notice that one of the holes on the board is round, and one is square. The square one is positive, the round one negative. On the component, the positive lead should be labelled; also, the negative lead is shorter. Ground is the left pin respective to the small text. 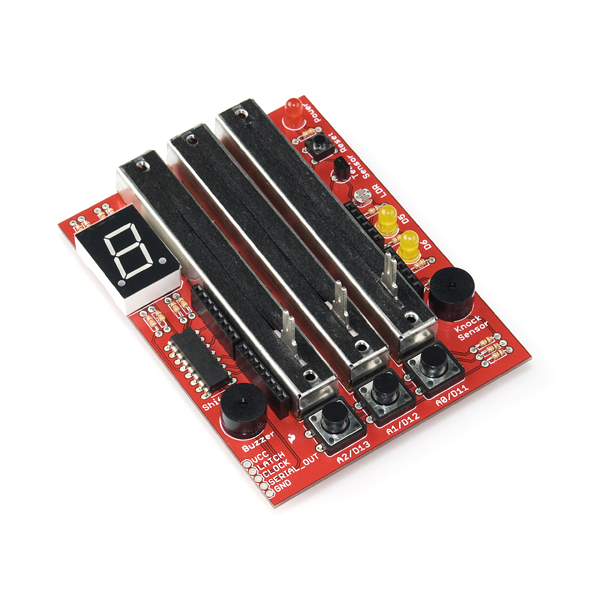 Infact the momentary push button are connected to d2, d4 and d7. A nice build, but the execution has a few issues. The magnetic buzzer can't really be used as a knock sensor, and the 6.5mm pin spacing is really weird and I can't find a piezo replacement--pin spacings are pretty much all 5mm or 7.5 mm in this size. Also, the surface finish on this is really pretty, but doesn't solder well. 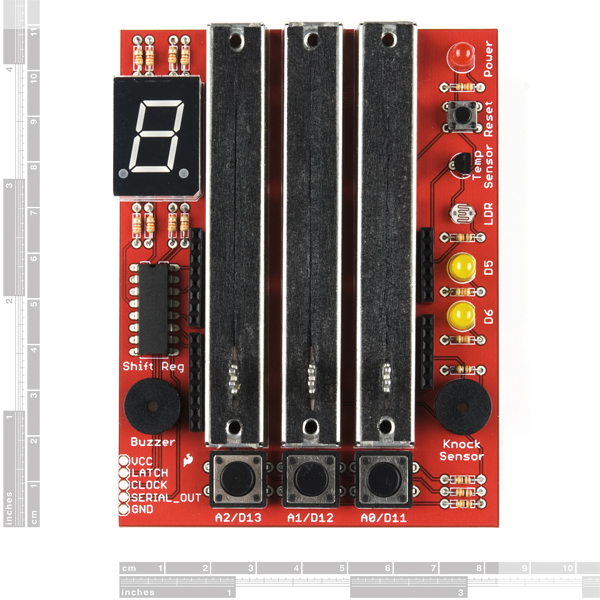 I would up using paste flux to get the solder to flow into the holes. It doesn't help that the itty bitty resistors have very thin (26 or 28ga?) leads, and the holes in the PCB are about 5x bigger than the leads.